Thanks to the generosity of the El Dorado Kiwanis Club with its recent contribution, the first SAAC/Kiwanis youth theatre production of “Disney’s 101 Dalmatians, Kids” will hit the stage in April. The musical for young performers is based on the classic animated film and novel “The Hundred and One Dalmatians” by Dodie Smith. 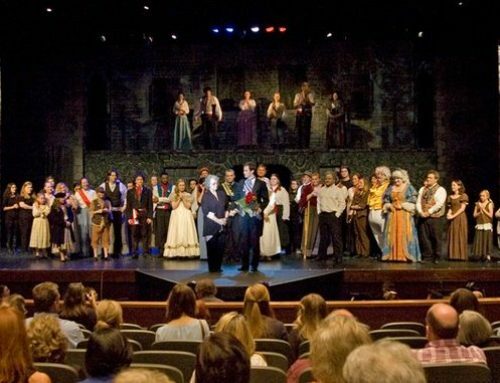 The El Dorado charter of Kiwanis International supports the arts within the community with the generous sponsorship of the newly developed youth theater program at the SAAC. Kiwanis is a global organization of volunteers dedicated to changing the world, one child and one community at a time. The new, audition only, performing arts youth theater class, under the direction of the creative husband and wife team, Victoria and Shelton Harden, will hold auditions for the production on January 11-12. Performances of “Disney’s 101 Dalmatians” are scheduled for the first week of April. The youth theatre production will be part of the new SAAC Arts Academy schedule. There will be no tuition charge for the performance class. Participants must audition and be cast by director Shelton Harden. Harden said, “There is an opportunity for everyone in this well-known Disney musical classic. I am ready to work, and I hope 101 kids audition!” The auditions are open to all students in grades K-12.